Are you in search of that perfectly scented soap you got at the market this summer? Or maybe you’re looking for a gift for someone. Did you pick up some meat at the market and wish you could get some more? Now you can! Even though the market is over for the season, you can still purchase items from many of our vendors in the off season. Here’s a list of vendors and where you can find them now that the market is over. 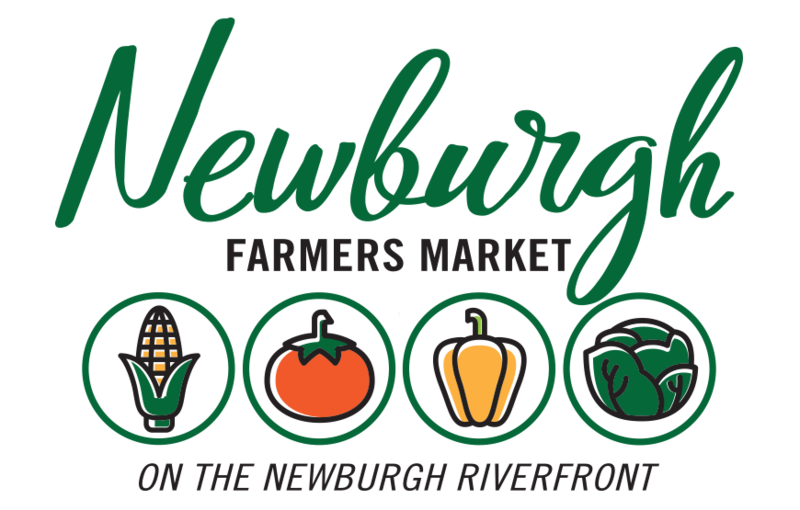 If you don’t see someone listed, feel free to send us an email at newburghfarmersmarket@gmail.com and we can get you in contact with the vendor! You can use coupon code THANKS15 to save 15% on your purchase from their Etsy page. Blue Heron Farm can ship your purchase or you can save on shipping and pick up from their farm in Chandler. They will also be at all the major tristate fall craft shows. Each Saturday Edgewater Grille makes their breads and sells them in the restaurant. You can also order in advance for parties or the holidays. Candles can be shipped or customers can choose local pick up and contact them via email at wickandpetal@gmail.com to set up a pick up time and location. Jenny Schmitt of Shimmer & Shine would like to introduce you to her lightweight hypertufa pots. What’s hypertufa? Hypertufa is a combination of cement, peat moss and perlite. This combination of materials creates a durable, lightweight, and very strong product that works great indoors or outdoors. Jenny creates flower pots, bird baths, bird feeders, candle and fire pots. If you want to check out her handmade creations, stop by her booth this weekend! Ever since Kelsey Weber was a little girl she always loved crafting and making all kinds of things. Kelsey would find random items laying around the house and find a way to make something cool out of it. Crafting and making jewelry has always been a huge interest of hers, and she wanted to see where it could take her. Kelsey has always wanted to open up a shop of her own, so one day she decided to finally do it! Last year she opened up a shop on Etsy called Tree Root Creations and began selling at local craft shows. Kelsey’s online business has begun to grow and she hopes to grow her business even more! Jewelry is one of her passions and in her spare time she enjoys thinking of new things to make! Kelsey says she loves creating unique items and hopes they bring some joy to others! You can find Kelsey at the farmers market every week for the rest of the season. Once the 2016 market season is over, you can find her jewelry on her Etsy page by clicking here. Kara Snow started Snow Bird Granola in November of 2014 with very few expectations, lots of fear, and unending support from family and friends. Kara has a B.S. in Dietetics, so she’s very passionate about food and nutrition. Kara also loves the Lord and making others smile, and it has been such a blessing for her to see all these passions join together to create Snow Bird Granola. Kara says the Lord’s hand has been all over this adventure, and truly none of it would be possible without Him. Food allergies also hold a special place in her heart because several of her loved ones have been impacted by them. Kara says she never wants anyone to feel turned away from Snow Bird Granola because of a food allergy, so she’s happy to accommodate any food allergy. She also has experience working with individuals with gluten, dairy, whey, and nut allergies, and she would love to create something special for anyone to enjoy. Kara is also very passionate about giving back. 10% of each granola order goes toward Feed My Starving Children (FMSC). FMSC is a non-profit, Christian organization that provides nutritious meal packages to malnourished men, women, and children around the world. To contact Kara or to order granola from her in the off season, you can click here to visit the Snow Bird Granola website. This great tomato recipe is typically made late in the tomato season when the quality of the fruit isn’t the best, but works just as well in the summer when tomatoes are most plentiful. 1. In a saute pan on high heat, saute the onions in the oil until they begin to soften. 2. Add the tomatoes and ground cherries until they wilt, stirring constantly. 3. Add the chilies and thyme and stir. 4. Add the vinegar and stir and lower the heat to a simmer and continue to cook until the liquid reduces. 5. Serve hot or chill and use later. This recipe could be used as an appetizer served over grilled bread or could be incorporated as a burger or grilled fish topping. This is a wonderful summer salad that will work well as a stand alone salad or as a topping for Seared Scallops, Grilled Mahi Mahi or even some crusty bread. 2. In a large bowl, combine the poblano, diced peaches, bell peppers, onions, basil, oil and salt and pepper and toss until mixed thoroughly. 3. Chill and serve as desired. Robert & Cheryl Forston from Richland, IN raise honeybees and sell raw honey. They also make all natural skin care products for men and women. Most of their products contain beeswax. Their BEE Lovely lotion bar will keep your skin hydrated and lock in moisture. They also make face lotion, lip balm, hair putty and men’s beard balm. Natural ingredients in all of their products will protect and nourish your skin and hair without harsh chemicals and preservatives. Once you try their all natural products you won’t want to be without them! Pappy & Grammy’s Popcorn has opened their first permanent location in Evansville last year. The walk-in retail store is located at 5 N. Morton Ave. Evansville. Pappy and Grammy’s Popcorn will feature the same daily popped kettle corn that is popped at this new location. A variety of kettle popped corn will be featured, plus individual packaging for weddings & parties and a variety of gift baskets and popcorn tins for any occasion. Pappy & Grammy’s is owned by second generation kettle corn poppers, Donna and Shawn Fickey. The trade was started by Fickey’s parents who got their start with supplying Roberts Stadium fans for many years. In 2007 this second generation business progressed to operating kettle corn stands at Old National Events Plaza and many other venues throughout the tri-state area, plus their delightful kettle corn can be found at many of the area Farmers Markets. According to the Fickeys’, the famers markets & SMG Management have given them the exposure that is responsible for there substantial growth. Larkins Produce is run by Jesse Larkins and his wife Jera. Jesse, 76, and his wife, Jera, 67, are both retired and run their small farm located between Owensville and Princeton. They have 15 to 20 acres of land in which they grow tomatoes, cucumbers, onions, radishes, peppers, green beans, potatoes, melons, okra, strawberries, pumpkins, sweet corn, and MORE! Jesse and Jera sell their produce to local grocery stores, at a farm stand at their home, and at farmers markets in the area. This is their second year at our market, and we’re so excited to have them! This is a perfect early summer sandwich when the tomatoes are not quite ready but look great and green! This recipe also includes a bacon aioli (it’s like mayo) made with the rendered bacon fat. Set up the breading – in bowl one, combine the flour, salt, garlic and paprika, in bowl two, whip the eggs with the water and in the third bowl, mix the Italian and panko bread crumbs. Place one slice of tomato at a time into the flour (shake off excess flour) then into the egg wash, then into the breadcrumbs. Do this until they are all breaded and set aside for cooking. In a sauté pan, heat up enough oil to coat the bottom of the pan (about medium high heat). Place the breaded tomato into the pan and cook for about 2 minutes on each side (be sure not to over crowd the pan) or until they begin to brown. Remove from the pan and drain excess oil on a paper towel. Set aside for later assembly. In a blender (or in a food processor or in a cup with an emersion blender), mix the egg yolks until they begin to turn light yellow. While the blender is still on, slowly add the bacon grease. This process needs to be carefully done to achieve the intended results. The oil should combine with the yolks and begin to resemble a yellowish mayonnaise. Once all the grease is incorporated, add in the garlic salt and pepper and blend until smooth. ** If too thick, just add a tablespoon or two or water while mixing. If too thin, you have possibly added the grease too quickly and it is “broken”. To correct, remove the mixture into a bowl and add two more yolks to the blender and begin mixing again and repeat the process with the thin egg/grease mixture. This should correct the problem. Place into the refrigerator until needed. On one slice of bread, spread some of the bacon aioli on then top with the bacon, lettuce and fried green tomatoes. Then spread some more bacon aioli on the top slice of bread and cap the sandwich.